Folasade's War Cry: For Love Soldiers / "She projects what we understand 'woman' to be ... less reactionary, more intrinsic"
I've lost the use of my heart / But I'm still alive / Still looking for the light / And the endless pool on the other side / It's the wild wild west / I'm doing my best / I'm at the borderline of my faith / I'm at the hinterland of my devotion / I'm in the front line of this battle of mine / But I'm still alive. I'm a soldier of love / Every day and night / I'm a soldier of love / All the days of my life / I've been torn up inside / I've been left behind / Tall I ride / I have the will to survive / In the wild, wild west / Trying my hardest / Doing my best to stay alive / I am love's soldier / I wait for the sound / I know that love will come / I know that love will come / Turn it all around / I'm a soldier of love / Every day and night / I'm a soldier of love / All the days of my life. I am lost but I don't doubt / Tall I ride / I have the will to survive / In the wild, wild west / Trying my hardest / Doing my best to stay alive. I've been listening to Sade for many years. Growing up, she was always there in the shadows: a faint reminder of old things I knew nothing about, and a prophetic whisperer of things to come. A poet. A singer. A believer. A testifier. As I grew into womanhood, I sang along with faint understanding. Measuring my episodes against the perimeter of her stories. Uncovering meanings when and where I saw fit. Now that I'm older, her music flows from the inside out. I can hear her better. And her life's work inspires me. I've heard this song many times before but today I listened and it spoke to me differently. I thought on the power of these words, the strength and determination required to embody Sade's brave declaration. If we listen closely, there is no bitterness here. There is an assessment and also an acceptance of the circumstances. We're in the Wild Wild West. Whatever do you mean Ms. Adu? Perhaps that it's REAL out here? That this Love thing isn't a game or for the faint of heart? To be a "Soldier of Love" is a high calling. It is not for the weak or the fearful. In fact, it's a commitment that transcends humanity and essentially places the infinite Love Energy of the Creator above human battle scars. This is empowering. It reminds us to acknowledge our heartaches and wounds but to also have the will to survive. It is a warrior chant, and it encapsulates a next step forward—beyond a lament. 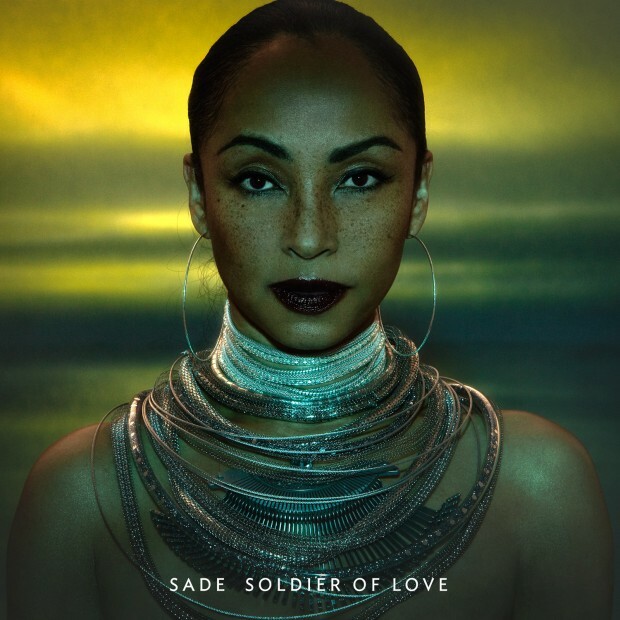 What I love about Sade, and I find this consistently throughout her music, is that she projects what we understand "woman" to be, while at the same time transcending the external limitations that oftentimes seek to disenfranchise women. In other words, Sade is undoubtedly a woman. Her sense of womanhood seems to be less reactionary though, it's more intrinsic. More rooted in a sense of her human self that leaves room for various aspects of being-ness. To be clear, I am not a feminist. I am appreciative of women who speak from a space of (em)power(ment) while embracing all that comes with their cosmic gifts as women. Ms. Adu does this well. Seamlessly, in fact. Her vulnerability is her strength, it is her power. Just as her ability to assess and declare is also her power. As she ventures, she gains in spirit. For your eardrums: Sade Mix by JaBig.